Most organizations are still grappling with how to effectively manage their virtual staff and how to effectively support and motivate them – an increasingly urgent task as more Millennials join the workforce, bringing changed attitudes to work satisfaction. This book, the fruit of the author’s three decades of experience planning and implementing remote working environments, provides expert guidance for anyone planning a shift to remote working, managing teams of teleworkers, or themselves working in a virtual team. Working Virtually is for the executive leading changes in an enterprise that is preparing for virtual work or seeking to improve current performance. It offers tools to assess readiness, advice on creating appropriate reward policies, and strategies to adapt performance management processes to be more team-driven and technology leveraged. Working Virtually is written to and for the virtual leader who wants to establish high performing virtual teams. It provides an understanding of the roles and responsibilities of managing a virtual team, offering a wealth of advice on creating the conditions for collaboration, motivating team members, and identifying and defusing problems. Working Virtually is for the professional who works remotely from home, on the road, or in an office with remote colleagues. It is for anyone who wants to succeed in this new work environment by developing skills and networks to create a sustained and satisfying career path. 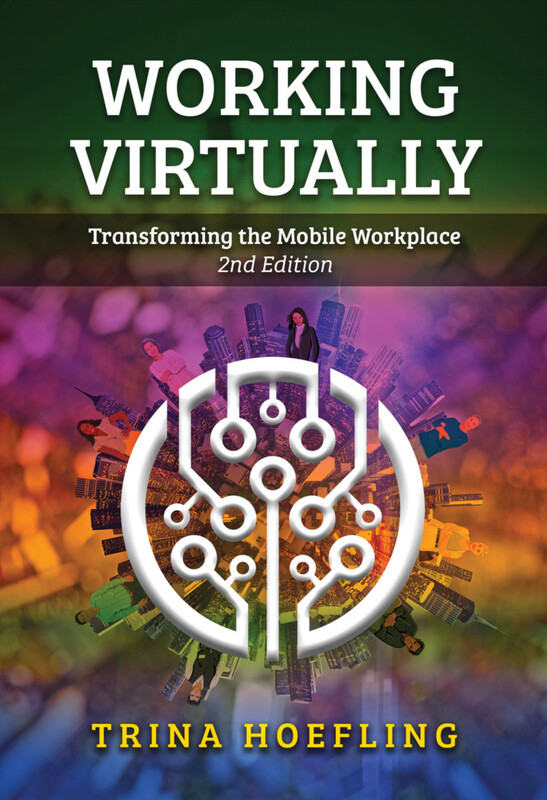 With this new edition providing a 360° view of the roles and objectives of all stakeholders in the virtual workspace, this book uniquely provides readers with a rounded picture of the policies, processes, work habits, and commitments needed to achieve the shared goal of high performance remote teams. "Virtual is now both the vehicle and the platform for most work. Are you ready? Trina Hoefling masterfully maps the three most powerful paths you’ll travel to succeed virtually. She is the perfect guide, simplifier, and coach for every virtual team and overworked manager! Hoefling helps us see that every virtual choice, is ultimately about ourselves — our mindsets, our ability to learn and unlearn, and how we embrace change. Get Working Virtually now — to get working virtually, and to unleash all that is within you and your teams!" "Working Virtually does an outstanding job of reminding us that the things that make for meaningful work in face-to-face environments apply more so when working at a distance. Generosity, trust, and collective meaning making are at the core of very practical approaches to working across distances - geographic or otherwise". "A gem of a book! Despite rapid advancements in collaboration technology and dramatic increases in the 'work from home' movement, many leaders are left to figure out on their own what it takes to drive high performing teams in this new environment. Trina Hoefling reminds us that the quality of human interaction ultimately makes, or breaks, a team and expertly lays out the tools and techniques for success." "Successful virtual teamwork does not just happen. Even though members know how to use communication technologies, and have integrated mobile devices into their everyday lives, more is needed. Leadership, shared purpose, clear expectations, and trust are all essential-- but challenging to carry out. Working Virtually Transforming the Mobile Workplace offers important guidance for virtual team sponsors, leaders, and members. The understandings gained from this book will save time, money, and heartache!" "Could not ask for a timelier book. People who work together in the same place, at the same time will be a distinct minority before this decade is out. I love this, it’s all in one place. It is not only current but is put together so it is constantly curated as new tools are found, new techniques developed. I would say what you have here is not only best practices but also ‘next practices’." Part Two: Will Virtual Work Here? 8) Henhouses and Jazz Musicians: When Is a Team a Team?